UNIONISED workers at the Tanzania-Zambia Railway Authority (TAZARA) on the Zambian side have staged a sit-in protest following the government’s failure to pay them four month’s salaries. Both Crews and Allied Workers Union of Zambia (CRAWUZ) president Bevis Silumbe and his Workers Union of TAZARA (WUTAZ) counterpart Bedwin Malowa confirmed the development in separate interviews on Monday evening. Silumbe explained that the unionised workers opted to down tools following the Zambian government’s failure to honour its obligation of paying workers, despite TAZARA management’s assurance that the ministry of transport and communications would pay workers in full and on time. 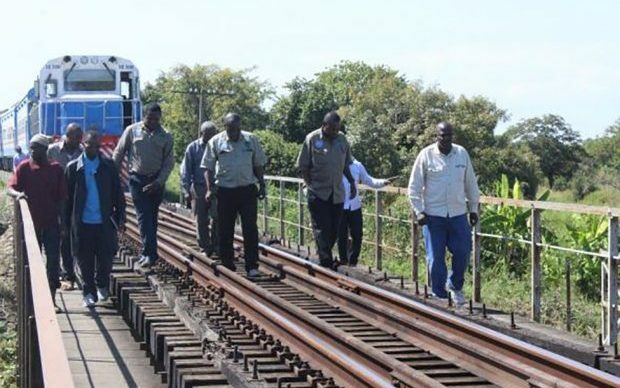 Silumbe explained that the labour movement at TAZARA had been trying to engage transport minister Dr. Brian Mushimba over the continued delayed payment of salaries at the rail company, but their efforts had not yielded. And Malowa said that his members had expressed dismay with Zambian government’s failure to pay workers. No cyclone to hit Zambia-Met Dept.